We realize that some girls with summer around the corner may be getting ready for SWAPS, Special Whatchamacallits Affectionately Pinned Somewhere. SWAPS always represent something about the girl or troop giving the pin. SWAPS have been a fun Girl Scout tradition since the 1950's and 60's. 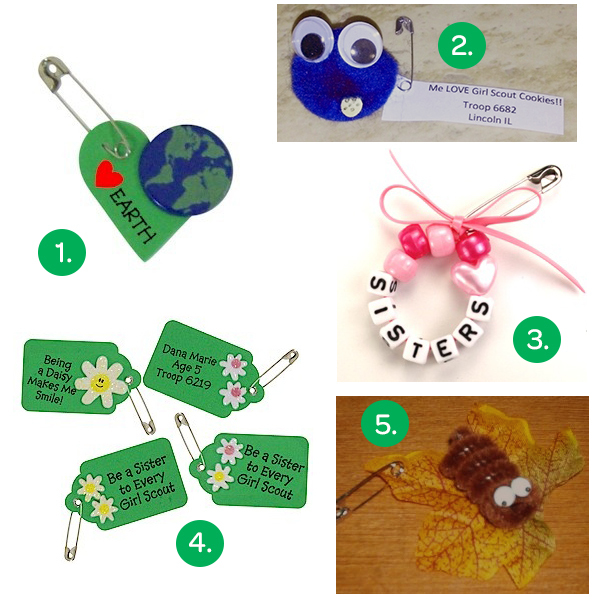 Here are five ideas to help your girl brainstorm on what she might want to trade with her Girl Scout sisters. On that note, we have a whole Pinterest board dedicated to SWAPS filled with several fun ideas! There is no limit to creativity when it comes to making your SWAP!